This Mixology Monday was a tough one for me -- not because it was difficult to create a new cocktail, or find a sufficiently interesting drink to write about, but rather because the theme was so goshdarned big. How could I narrow it down to just one drink, when there are so many wonderful cocktails out there containing vermouth? The first cocktail I really enjoyed was a Manhattan, after all, and the category is wide open. As I mentioned in the announcement post, the aromatized-wine family covers vermouth, quinquina like Dubonnet and Lillet, aperitif wines, and lots more. 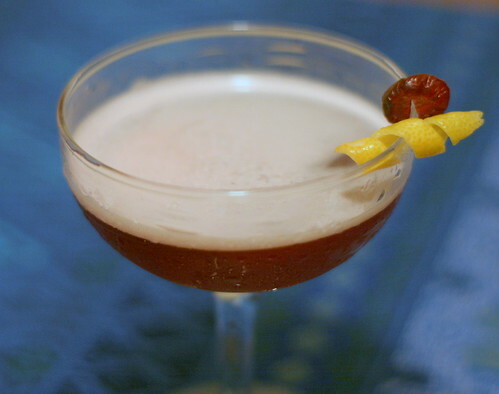 I initially considered a "Vermouth Cocktail", which dates all the way back to 1869 and consists of simply a couple ounces of sweet vermouth, a tiny bit of ice, and a twist. 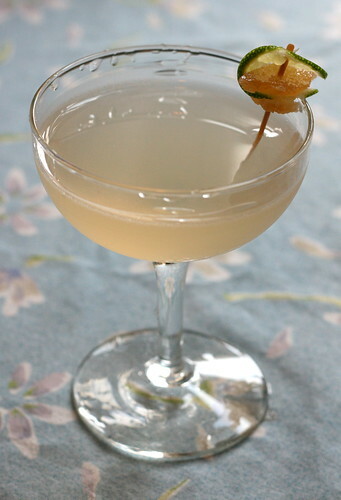 (There's also the "Fancy Vermouth Cocktail", from the 1887 edition of Jerry Thomas's How to Mix Drinks, which adds a couple dashes of Angostura bitters and a teaspoon of Maraschino, and changes the garnish to a lemon wheel.) 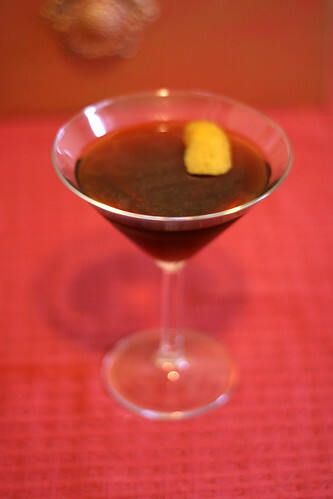 Straight vermouth makes an excellent aperitif, whetting the appetite with its wonderful combination of sweetness, spice, and slight bitterness, and preparing the palate for savory delights to come. 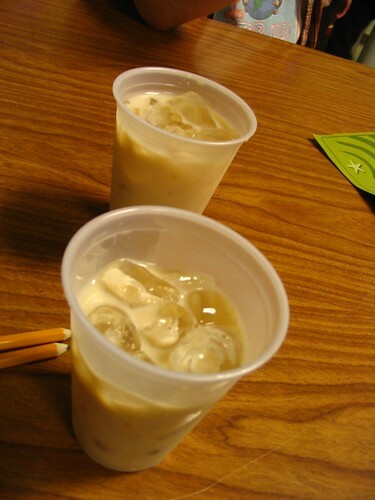 Dry vermouth on the rocks is a great summer drink, too, and the light herbaceousness can be very refreshing. As Chuck Taggart points out, Lillet on the rocks with a slice of orange "is the favorite drink of one Dr. Hannibal Lecter", and it's good with a flamed orange peel as well. 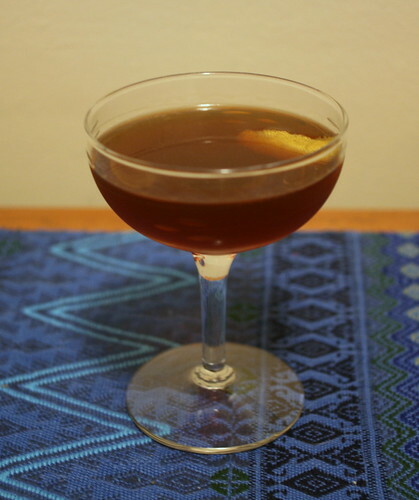 As David Wondrich notes in his book Imbibe, the introduction of the Manhattan really got the vermouth revolution going, and bartenders around the turn of the century used it in almost everything. 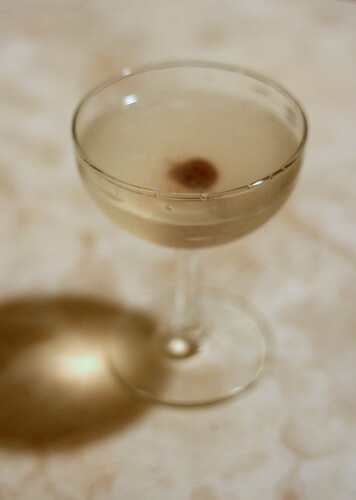 In the April 2009 issue of Esquire, Wondrich offers a great formula for inventing new cocktails: two ounces of base spirit, an ounce of a fortified wine, a teaspoon of liqueur, and a couple of dashes of bitters. This formula's easily as useful as the classic 2:1:1 or 3:2:1 ratios of spirit:liqueur:citrus for making Sours sweetened with liqueurs -- and note that fortified-wine recommendation! 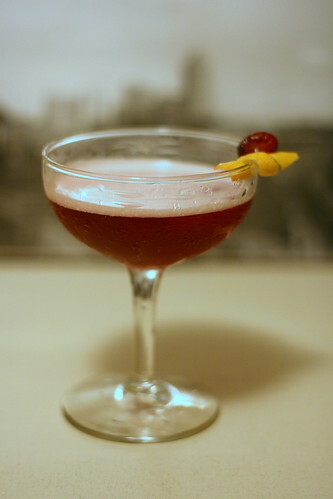 I considered a few other cocktails, which I'm noting here because I want to get around to trying them: Dr. Cocktail's CEO Cocktail and Gary Regan's Delmarva Cocktail No. 2 (itself a variation on an original from Dr. Cocktail.) Also, if I ever want to crack open the Noilly Ambre that was a very, very generous gift from the estimable Jay Hepburn, the Amber Room looks fascinating as well. 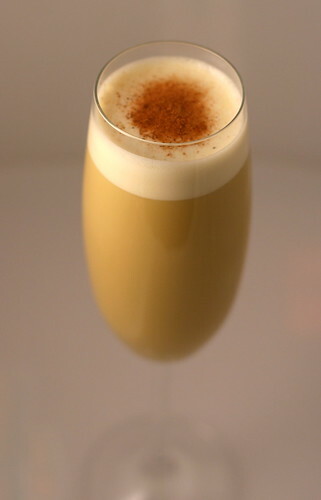 But for today, I wanted to go farther back, and try a cocktail that was briefly in vogue in 1895. I have a bottle of Laird's Bonded Apple Brandy (which goes into their applejack, which is a blended product with water and neutral grain spirits), and while I do love the Jack Rose, the prospect of another cocktail using Laird's was too good to pass up. 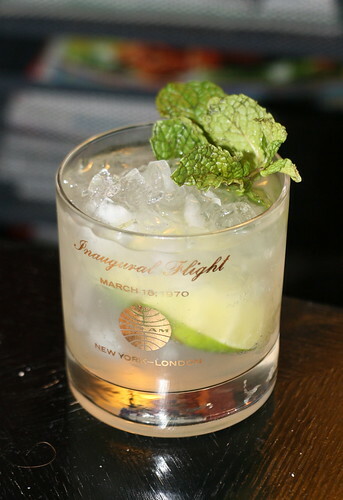 Stir, strain into a chilled cocktail glass, and serve with a twist. This is an interesting taste -- at first the vermouth's bittersweet spiciness is reminiscent of a Manhattan, but the apple brandy's mellow flavor is different from rye's peppery bite. 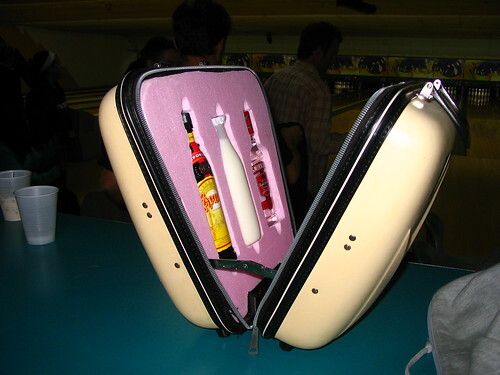 And, of course, the bitters tie it all together. Angostura is good in this one, but I think I might try the Fee's Whiskey-Barrel-Aged Old Fashioned bitters in this next time.